Still cartoons! Cartoons are still great! And lo, a year has passed since we all watched the second season, or Book as the kids call it, of the Legend of Korra. But what does that MEAN. Was it worth it? Were they able to write themselves out of the hole that was the complete story arc of Book One? And by that we mean that Book One ended in a way that really didn’t need another season, so the hole we are talking is more the fact there was no hole? But can we DIG IT. 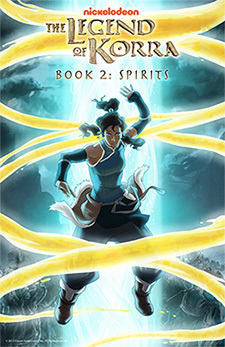 Can we place our hands into the ground of The Legend of Korra: Book Two, Spirits and just DIG IT? Short answer: Yeah pretty much, we are still doing an OSMcast all about after all. Long answer: Once again, you can have that long answer by click on that episode, and either streaming it RIGHT NOW or download and listen at your earlier convenience. We did spend all that time talking and pontificating all over this here audio file. I’m adding more text here to make the answer longer. TL;DR: This episode of the OSMcast is about The Legend of Korra: Book Two, Spirits. 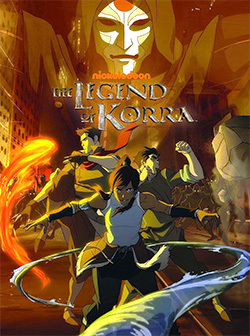 It’s a pretty cool cartoon made by Bryan Konietzko and Michael Dante DiMartino and the second series to the first book and is in general a sequel to Avatar: the Last Airbender. You can go listen to us yap on about how cool we think it is. Which it was. At times. Eh, you’ll find out! Firstly, here’s a link to the Blu-ray of the second season. Here’s a link to the DVD version. Mmmm, cartoons! They are the best. So, you may have heard about this Korra cartoon THING that just had it’s second season opener and you may wonder if you should go back and catch the first season. But hey, if you ARE wondering that, well we have the answer for you! Short answer: Yes, of course you should. 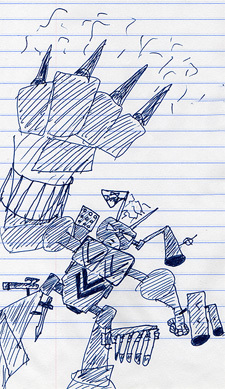 We even did an OSMcast all about it. Long answer: You listen to our latest episode that tells you all about it. That’s right here. You can just click about or download it or maybe you have done one of those things. In that case you should have already begun watching the first season. If you haven’t, I guess just listen to the podcast again. TL;DR: This episode of the OSMcast is about The Legend of Korra: Book One, Air. It’s a pretty cool cartoon made by Bryan Konietzko and Michael Dante DiMartino and a sequel to Avatar: the Last Aibender. You can go listen to us yap on about how cool we think it is. Firstly, here’s a link to the Blu-ray of the first season. Here’s a link to the DVD version. Yeah buddy! Those sure are some TIME CUES. Now how about some PANEL CUES?! Panel Cues for Anime Weekend Atlanta, as told to Basil by way of AWA unless things change which they totally can! Manga You Need to Buy Right Now! (9/27/13 3:30 PM-4:30 PM | CGC – 104): Manga, the world of Japanese comics. There used to be an absolute ton of these things on the market, but times are changing… and not for the better. However, there are still a great many series and one shots that are being published today. And we’re going to tell you all about them! Petals and Penguins: The Work of Kunihiko Ikuhara (9/28/13 5:00 PM-6:00 PM | CGC – 106): The creator and director of Revolutionary Girl Utena, Kunihiko Ikuhara is a man who loves imagery. And metaphor. And messing with your mind. His works make you think, make you feel, and usually not in the ways you’re probably meant to when you started your day. But yet, we always keep coming back for more. From his start in the anime adaption of Sailor Moon, to Penguindrum and beyond, we look into the twisted body of work that has defined Kunihiko Ikuhara. Getting Your Anime Groove Back (9/29/13 11:00 AM-12:00 PM | CGC – 104): Anime burn out happens all the time. Sometimes life gets in the way and people lose interest in keeping up with the latest shows and news. This panel looks at a few shows that may rekindle that anime fan deep inside that just wants to be free again. The Weird Side of Go Nagai (9/29/13 2:30 PM-3:30 PM | CGC – 106): While Go Nagai is easily one of the most prolific and influential anime and manga creators of our time, not everyone knows his stranger side. Sure, some anime fans may know the popular stuff like Cutie Honey or Mazinger Z, but what about Aztechkaiser; a tokusatsu pro-wrestling live action show where the hero beats his enemies by turning into animation? Now that’s weird! Boy that sure was a whole lot of cues!